It's usually dark when my alarm goes off, and I get up to prepare to go to the gym. I'm not fully awake until two hours later as I'm showering after my workout. But I have things to do before we go. It's my job to dress for the gym, make coffee and tea for go-cups, take out bird food to the front and back yards, get the newspaper, prepare the gym bags and take them to the car. All this takes half an hour, while my wife gets herself ready to go. I always reach the car first, and I open the garage door before getting into the car. This turns on an overhead light in the garage. Nice. Also, the light turns off automatically five minutes later. So sometimes I'm sitting in the car in the darkness sipping my coffee, still waiting. The light turns on again after closing the garage door, and off again five minutes later. 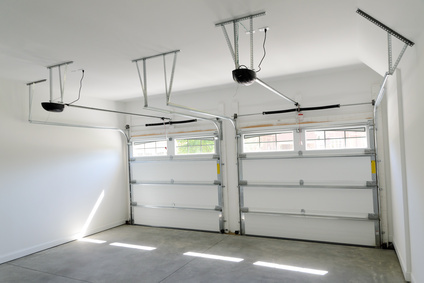 Pretty nifty gadget, that garage door opener. "What if they open the garage door at night? It'll be dark in the garage, and that's not cool." "Right. Well, it could turn on a light at the same time. No big deal." "Yeah, that'll work. But wait. Once they get into the car, how will they turn off the light? You don't want the light to stay on until they come back. That could be a long time, wasting electricity." "Right. That's not good. We could add a light button on the clicker they keep in the car." "Not bad. But maybe they forget to use it and that's a lot of buttons on a small clicker." "Okay, so the light turns off automatically." "Well, it should stay on until they get into the car. That's what the light's for. And they need light after they close the door so they have light while entering the house." "So how long? Twenty minutes?" "Do they need that much time?" "Not really. How about five minutes?" "That sounds about right. Let's set up a test system and see what people say." As I said, something like this conversation. What really took place is not important. What actually happened is that engineers came up against a problem and used their imagination to think of ways to solve it. Anyone with a normal,healthy brain has the capacity for imagination. Your brain forms images based on sensory inputs. We call these images perceptions. We see. We hear. We feel. It's one of the things your brain can do. You can also form images based on stored past perceptions. We call these images memories. Furthermore, you can form images you've never experienced before, by combining stored perceptual memories in new ways. We call this imagination. It works in dreams, too. The combining of old perceptions to make new images happens in the right prefrontal cortex. Your amazing brain. Some people exercise imagination more often than others. By exercising these neurons extensively, they cause them to grow together into a neural network, resulting in mental habits for imagination. With this practiced ability, a person could get real good at it and make money being creative. Millions of people do. But even if you aren't a professional artist or imagineer, you can still imagine, just by trying. You may not have extensive imagination habits and you may not make your living being creative, but you can imagine simply by deciding to do it and by making the effort. Try this. I want you to close your eyes and see an image of Tom Cruise dressed in a yellow outfit sitting in a corner on a stool with a propeller beanie on his head, sticking his tongue out. Go ahead, close your eyes and do it. See? I knew you could do it. Good for you. It boils down to asking "What if...." Do that and you can visualize something specific you want in the future, even if such a thing has never happened before. Great article. That is a very cool perspective on how the creative mind works!